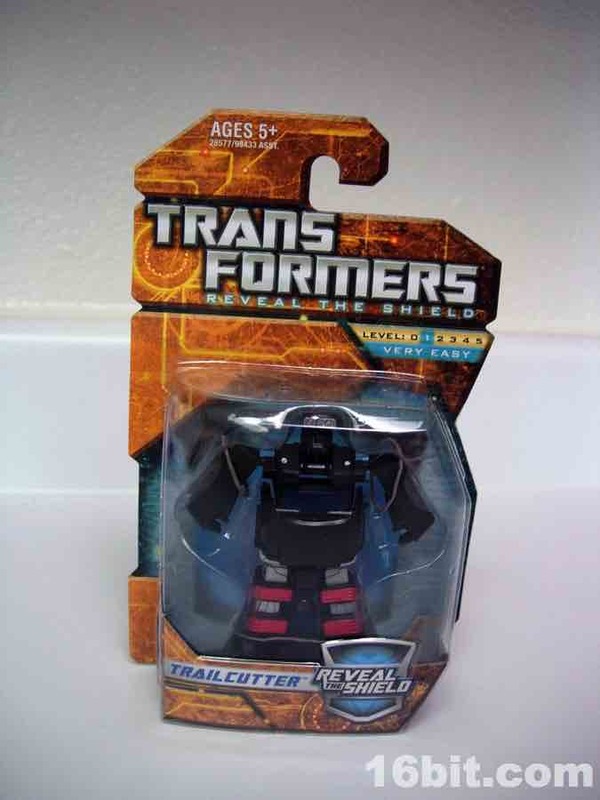 Since wave 1 of the Reveal the Shield Legends never hit big retail in the USA, neither did Trailcutter or his pal Prowl in wave 2. 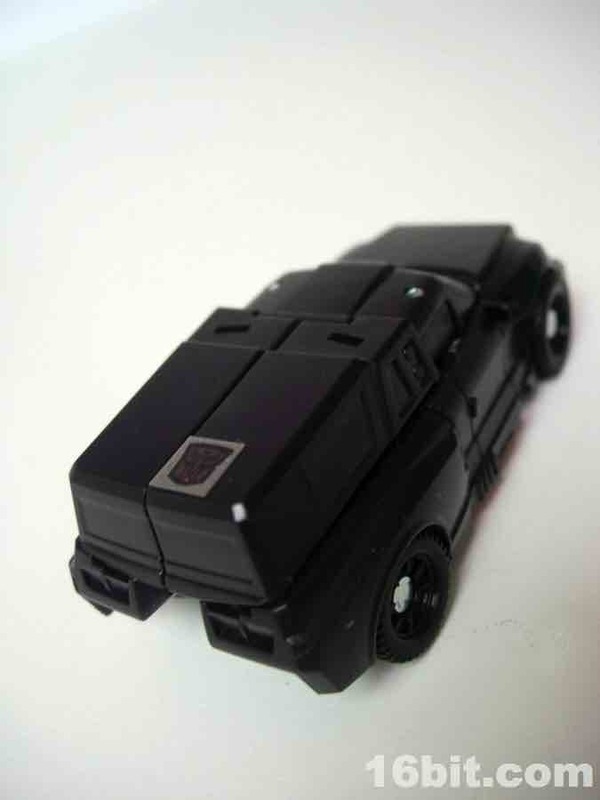 Essentially a new version of Trailbreaker, which evidence seems to show Hasbro can't use as a name anymore, this tiny transformer is only the second toy to be based on the 1984 Trailbreaker toy/character. 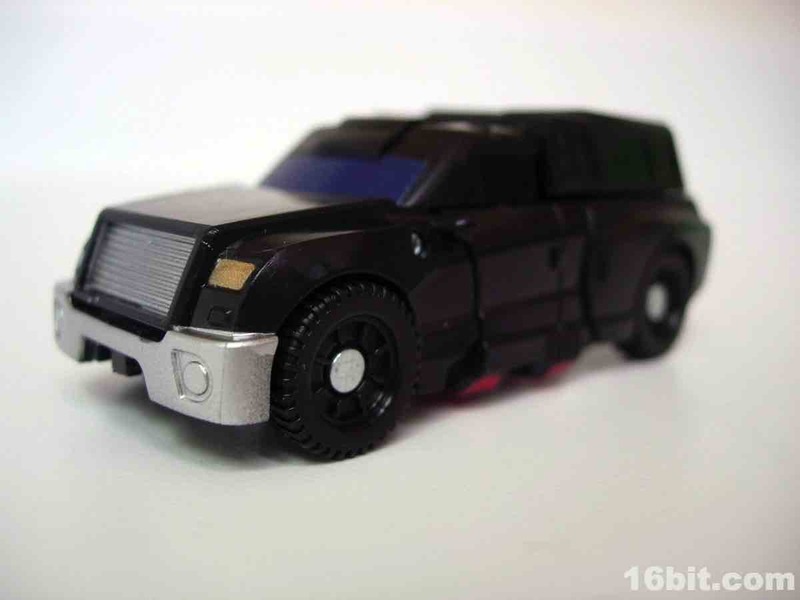 At one point Hasbro was going to name to an Alternators toy and also the Cybertron toy Overhaul, but that didn't happen. 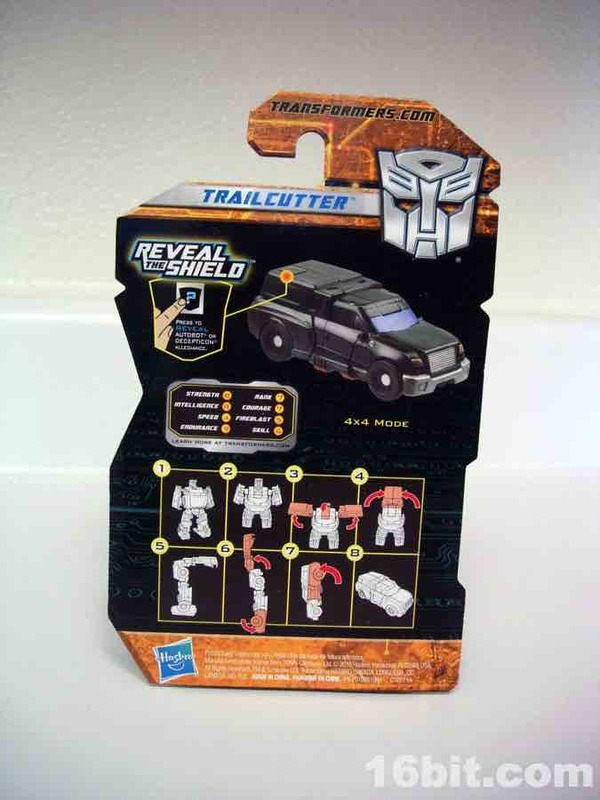 Trailcutter is based largely on the animation model, at least in the head. 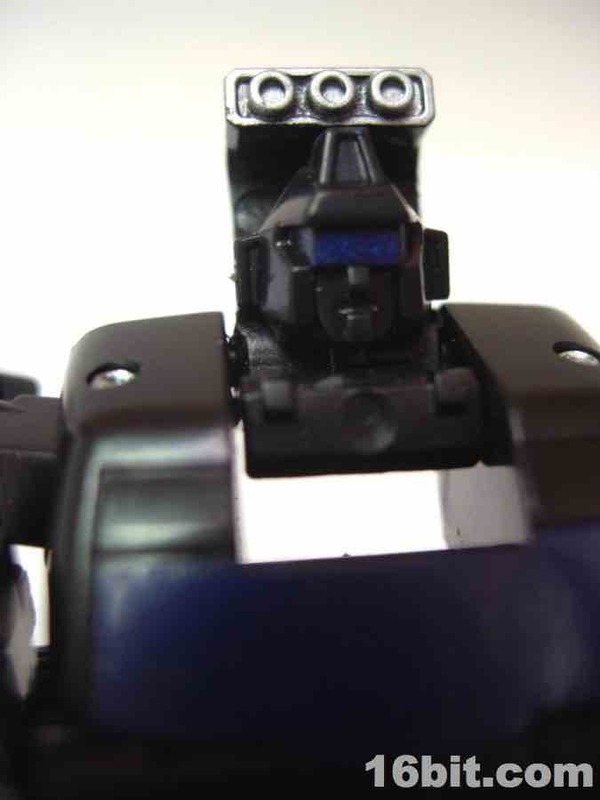 He has a mouth and a blue visor on his head, with a lighting array based on the original toy. The legs are also quite similar to the original toy, and this figure has 7 points of articulation. 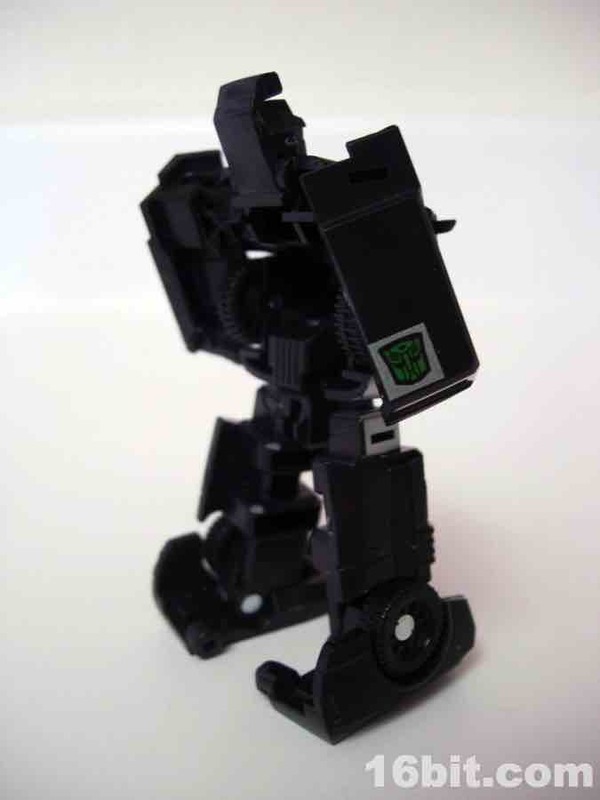 The arms and legs move nicely, plus the ankles and head can pivot down as part of the transformation. 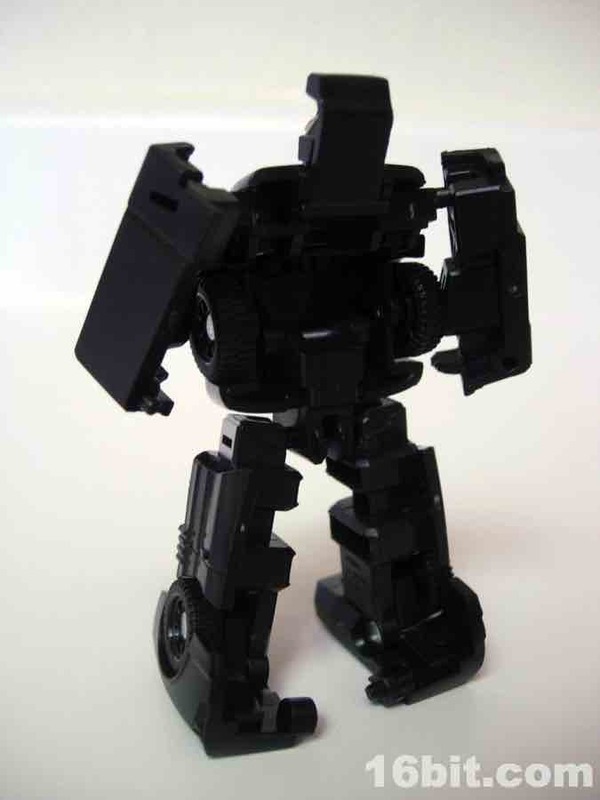 In short, what you see is what you get-- there's nothing hidden or special here, it's just a nice (if slightly tubby) robot. 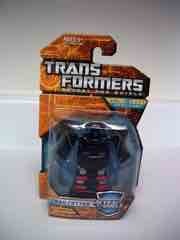 Of this entire batch of toys, this one may have one of the least fun transformations. The head rotates down but has to be given extra force to snap into place, and getting the arms to rotate back and lock in the right spot takes a little extra force. It's not difficult, but it's nowhere near the joy that Prowl and some of the other toys are to change around. As a camper, he's mostly black with a blue painted windshield. The front of the car has a painted grille and headlights, and a rubsign revealing the obligatory Autobot logo is on the roof. 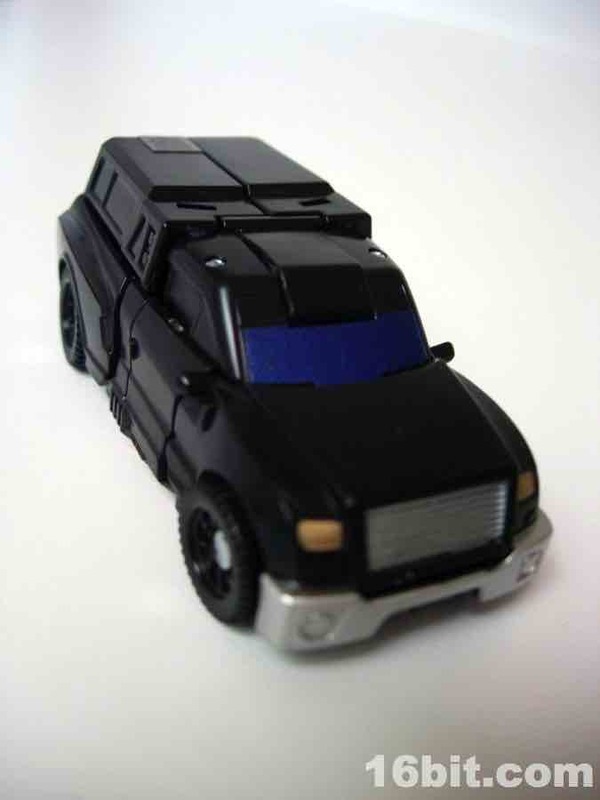 It's simple, but pretty nifty. 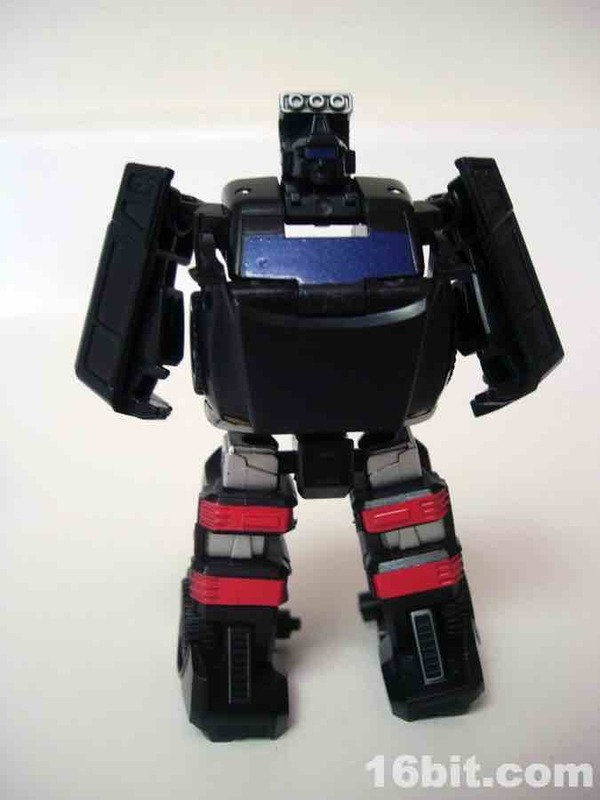 A chunkier toy that many of his siblings in this assortment, Trailcutter is probably most exciting to G1 fans who've been dying for a new toy of him over the past two and a half decades. At $5 it's a pretty fun little toy, well-made and not at all brittle feeling like some Legends. If you have to pay a slight premium his quality won't let you down, but there's not a lot going on with this design which would wow you. If you can get him cheap, don't hesitate to do so. And if you're collecting mini G1 guys in this scale, I sincerely hope you already bought one.